Politicians frequently decry so-called death taxes, but for most people, it's not taxes but funeral costs that are the final indignity. Funeral homes are required to provide an itemized pricing breakdown, but as a recent Federal Trade Commission investigation finds, many don't do so. FTC investigators visited 133 funeral homes during 2015 and 2016 and found that 31 of them failed to disclose itemized pricing as required by the FTC's Funeral Rule. 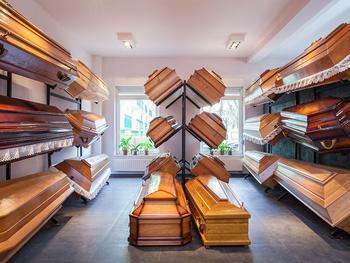 The rule requires funeral homes to provide consumers with an itemized general price list at the start of an in-person discussion of funeral arrangements, a casket price list before consumers view any caskets, and an outer burial container price list before they view grave liners or vaults. The rule also prohibits funeral homes from requiring consumers to buy any item, such as a casket, as a condition of obtaining any other funeral good or service. This enables consumers to compare prices and buy only the products and services they want. Penalties for violating the rule can be as high as $40,654 per violation, but funeral home violators are given the option of entering a training program instead of paying the fine, and all of those caught in the recent two-year investigation have done so.